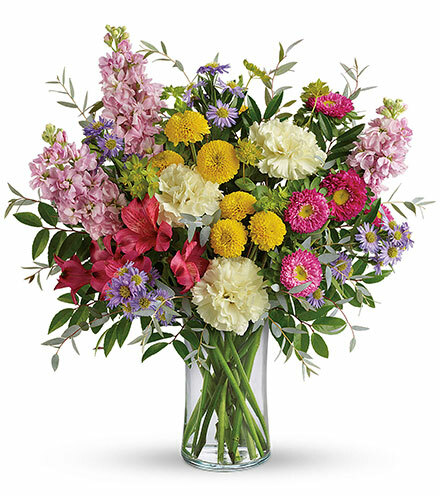 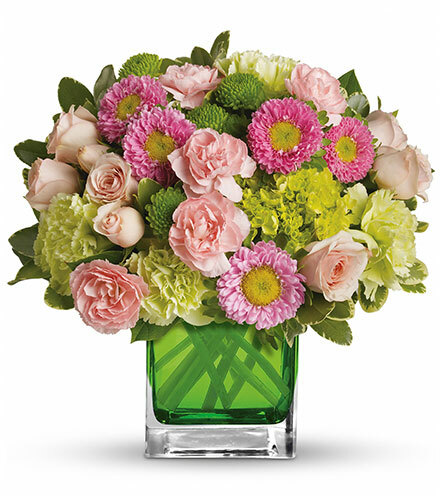 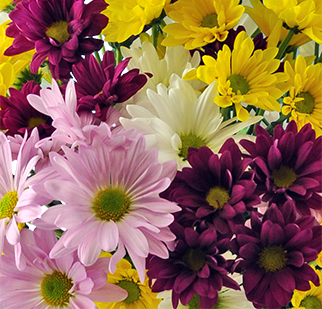 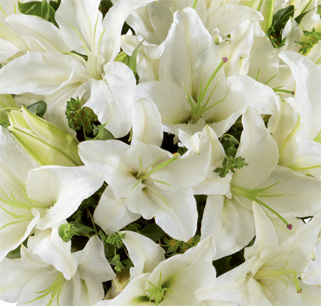 Featuring more of the brilliant spring flowers that you love, this FTD® Spring Garden® Bouquet is the perfect accompaniment to your Mother's Day celebration this May. 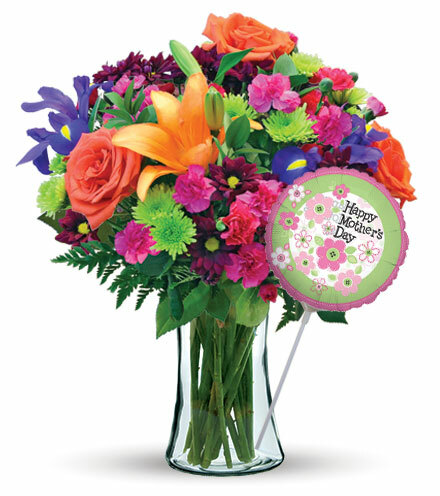 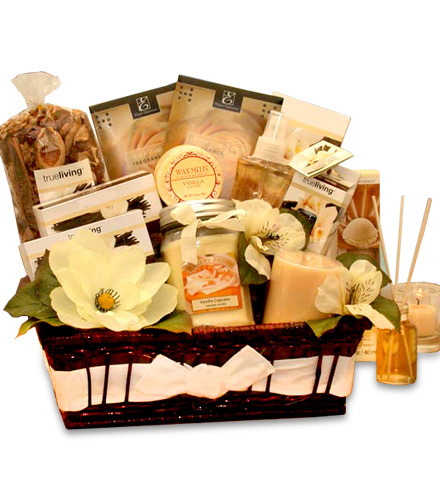 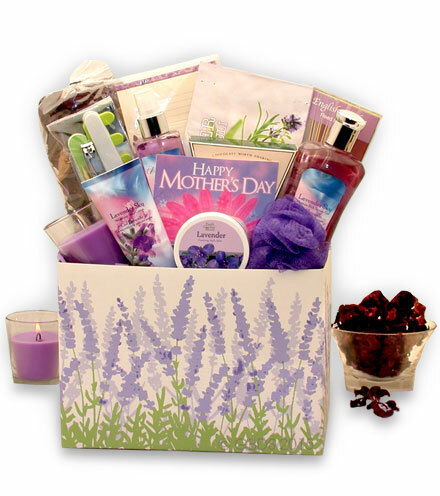 A Blooms Today flower arrangement is a great way to let someone know that you think the world of her and want to wish her the most amazing Mother's Day. 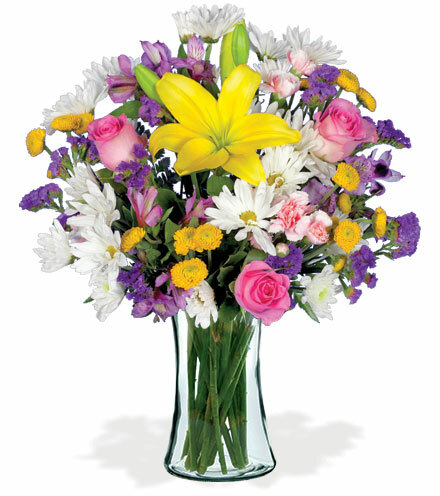 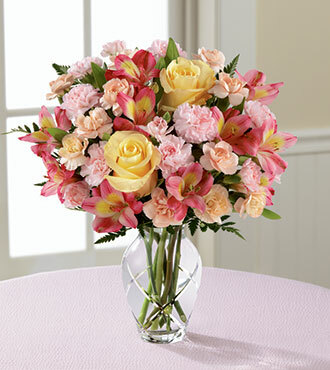 Let this arrangement of yellow and pink roses, mini carnations, and Peruvian lilies send your message this year. 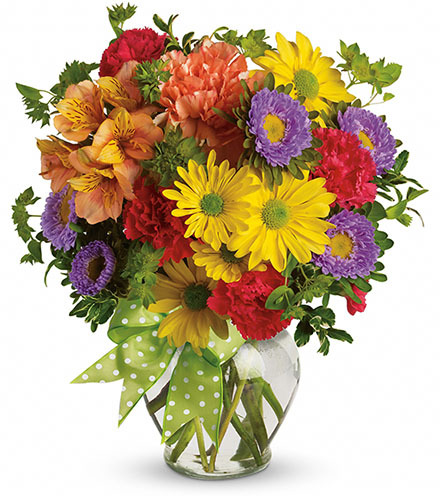 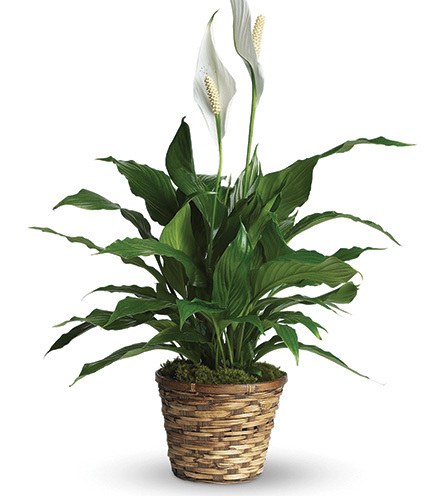 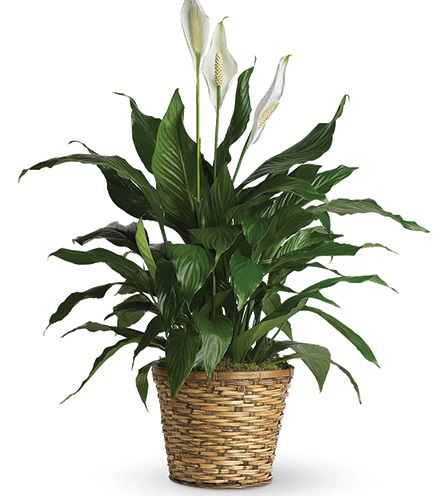 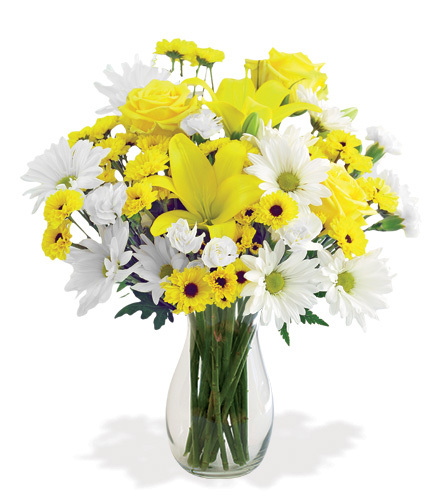 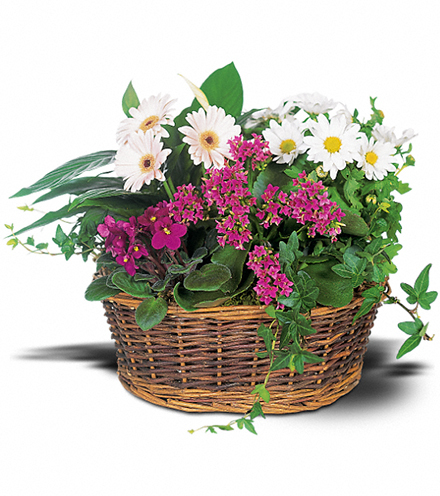 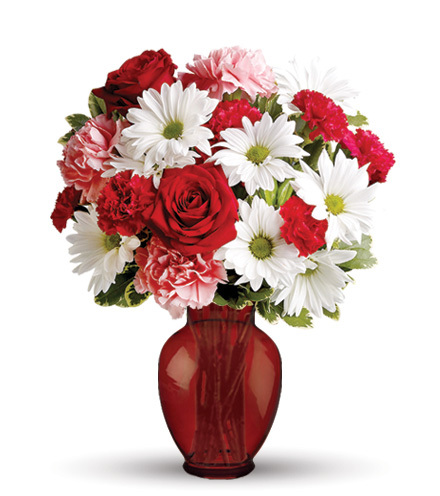 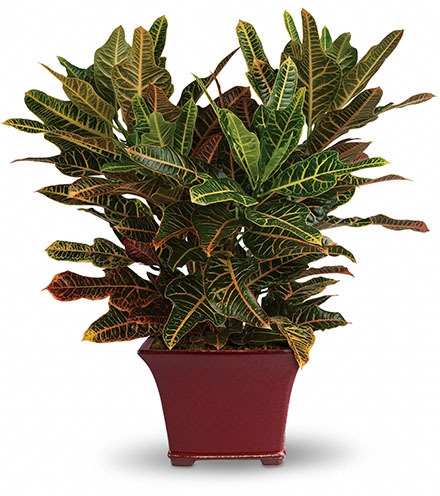 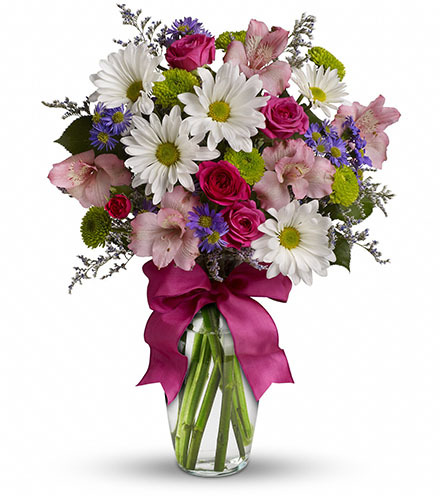 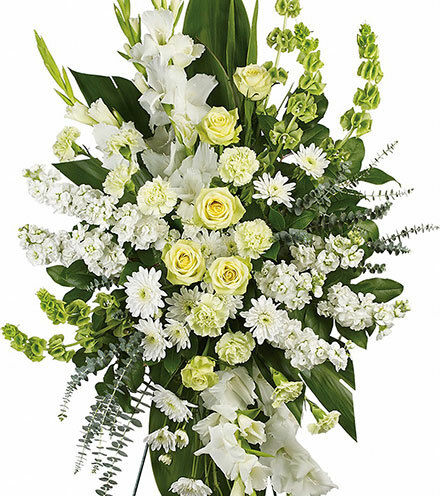 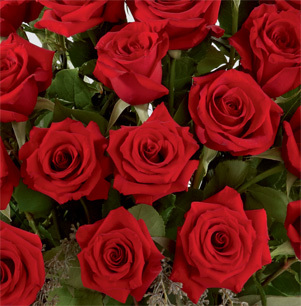 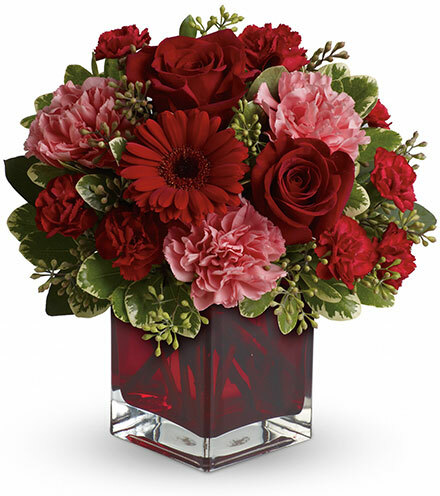 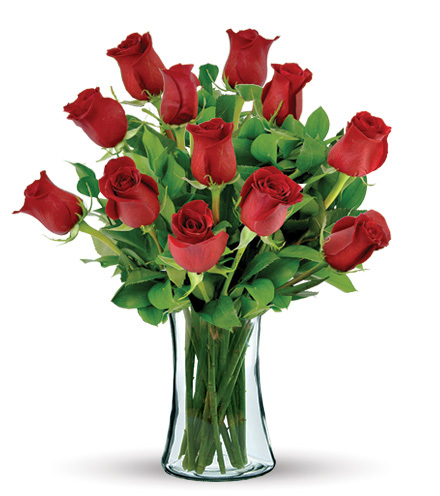 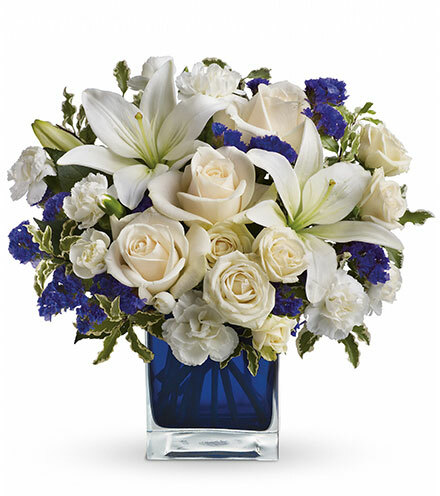 GREAT bouquet (no spray roses) is approximately 13"H x 9"W.
GREATER bouquet is approximately 14"H x 12"W.
GREATEST bouquet is approximately 14"H x 13"W.